PAOLO Di Canio has launched a remarkable and explosive attack against the indiscipline he has encountered since taking over at Sunderland. PAOLO Di Canio has launched a remarkable and explosive attack against the indiscipline he has encountered since taking over at Sunderland, accusing some of his players of “ignorance and arrogance” and promising to rid the club of the worst offenders this summer. In an incredible final press conference of the season, Di Canio said discipline at Sunderland was worse than he had found at League Two Swindon. He said he found a picture of Phil Bardsley covered in money after a late-night casino visit – published in a Sunday newspaper – “disgusting”. 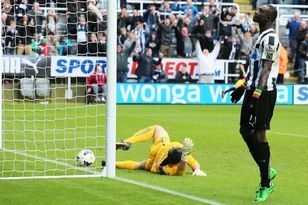 The defender was left out of the Black Cats squad which lost 1-0 at Spurs to confirm their miserable 17th-place finish. He also spoke of fining one unnamed player who turned his phone off and was uncontactable for three hours after crying off training due to food poisoning. Di Canio (pictured below) said if it was up to him he would ensure all seven of the players he fined last week would not play for him again, although he stopped short of saying categorically Bardsley’s Sunderland career was over. He was scathing about the defender and the rest of the squad, though. He said: “I thought at Swindon in League Two there were ignorant, arrogant footballers who did not have a chance at the top level. “I have to tell you, I have found a worse environment in terms of discipline at this club. “This is what I have found in the last few weeks, so we have to change it completely. “It will be very hard if I do not receive the maximum support from the board. At the beginning, I thought it would be difficult. “Week by week, day by day, I have discovered we have more problems than I expected. “What we discovered this week is only one aspect of the problems we have. It doesn’t mean everybody goes out every night and has a drinking session, but in general I go mad at some things. “What happened to Bardsley is part of what else has happened in the last few days. Di Canio pulled no punches when asked specifically about Bardsley. He added: “It disgusted me to see this image for the club. They have to behave well. “They cannot be coming in at two or three o’clock, full of alcohol. “I didn’t see the pictures, but the morning after, I told my assistant manager I don’t play Phil on Sunday. “Why? Because when I spoke to him he looked at the sky. He couldn’t listen to what I had to tell him. He was blurry. “I didn’t know what had happened then, but I soon discovered. “ I read my player. Something had gone wrong, and I discovered it was a really bad situation. “There were other players out as well, but the other players left the two guys before they got into the casino. “They were not there until early in the morning. “They all went out together and watched the Wigan game - they are allowed to do this. They had a drink and celebrated, but went home before midnight. Citing another example of ill discipline, he spoke of a problem on Sunday morning with another player. Di Canio said: “This week there have been seven fines and this morning, again, there was a problem. “At the Academy of Light, a player who could not be involved in this game decided they would not train. They made their own diagnosis. They didn’t go to the Academy of Light because they said they had a poisoned foot. Are they the doctor? Di Canio said what he had achieved was a “miracle” given the culture he had encountered on Wearside. He added: “I don’t care if I have to arguments with my players. They have to go through the rules. “After Aston Villa, we had an appointment at 4pm the following afternoon, but someone did not arrive until 4.20. “I didn’t ask them to come in at 7am, I said to come at four in the afternoon. “If they can’t be on time for that, what sense of responsibility do they have? “They live five minutes from the Academy of Light and they did not even run in when they were late.